To help make that decision a little easier I'll be checking out some of the best options out there, and giving you the low down on what works well, and what doesn't. 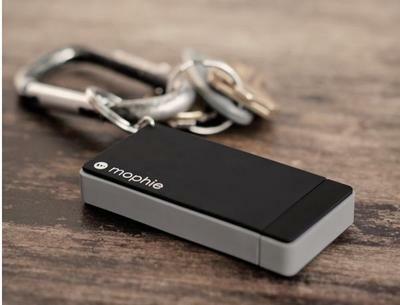 Overview The Mophie Juice Pack Reserve is a small 700mAh battery that fits on a key chain and can be used to charge any iDevice while you're on-the-go. Advantages The Juice Pack Reserve is super small. The battery can fit on a key chain with no problem, and won't weigh you down more than you might carrying around a cigarette lighter. 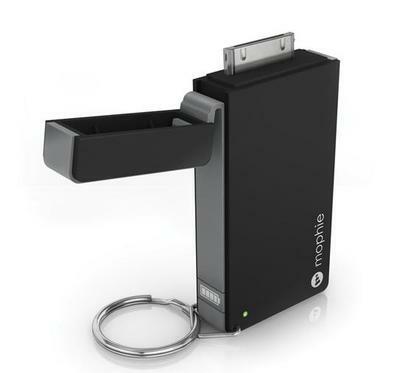 The battery can fit easily in pockets, and can be connected virtually anywhere you might connect a key chain (such as to a wallet, bookbag). Since the battery is so small, it's easy to carry it with you all the time, and consequently have it on hand for when you're unexpectedly running low on power. The USB connection (for charging the battery) and the 30-pin connector (for charging your iDevice) are both built-in, so all you need to have with you at any point is the Juice Pack Reserve itself. Disadvantages The Mophie Juice Pack Reserve is currently only for iOS devices (although other options are apparently in the works), so if you're not rocking an iDevice you won't be able to use it. While its small size is certainly an advantage, it's also a bit of a disadvantage as well. The 700mAh battery is enough to revive a near-death phone for you to make a call or check directions, but isn't enough to keep you going for a tremendously long period of time. Since the battery's power is drained so quickly, you also have to remember to keep the Juice Pack Reserve charged, which means for the most part if you've used it at all you probably need to give it a charge. I found it hard to remember, and there were quite a few times I wanted to use the battery and hadn't juiced it up from our last encounter. Conclusion I absolutely love the Mophie Juice Pack Reserve. The battery's compact design makes it perfect for carrying with you everywhere and having on hand for unexpected emergencies when you need a little juice and are away from home.